M&F Talent’s Kent Gruetzmacher had the opportunity to join the team at the cannabis industry podcast Lit and Lucid in March 2018. Lit and Lucid is hosted by some of the brightest professionals in the Denver marijuana business, Jarrod Mason and Lucy Dagnillo. Jarrod is the Sales Manager at Los Suenos Farms, the largest marijuana farm in the United States. For her part, Lucy is an accomplished cannabis writer and Denver marijuana network authority. Kent was thrilled at the opportunity to join this up-and-coming cannabis industry podcast. Lit and Lucid has hosted such Colorado cannabis icons as Denver Mayoral Candidate Kayvan Khalatbari and Cannabist Founder Ricardo Baca. Kent was of particular interest to the hosts at Lit and Lucid as he is involved in the Colorado cannabis industry with his work at M&F Talent as well as a cannabis writer. As such, a good amount of the discussion surrounded Kent’s writing work with Maximum Yield Magazine. Kent’s writing with Maximum Yield has put him in touch with some big names in the Colorado cannabis scene, including Green Dot Labs and Los Suenos Farms. Also, discussions turned to cannabis writing as relating to marijuana careers and budtender jobs. Kent is an authority in this subject as he spearheads our Cannabis Resume Writing Service at M&F Talent. Looking at the cannabis industry podcast discussions relating more specifically to recruiting, topics covered were budtender jobs and the high turnover rates notorious with cannabis jobs. As an expert on cannabis recruiting, Kent also discussed hiring patterns in different market segments. For example, he compares hiring in the Denver marijuana business versus the Pennsylvania medical marijuana business. The Denver cannabis industry has had time to evolve. As such, businesses have an experienced talent pool from which to hire. Looking to the Pennsylvania medical marijuana industry, many companies need to hire experienced personnel from out of State. However, more entry-level roles like budtender jobs are rather easy to fill. 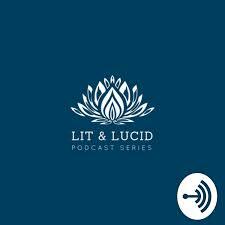 The folks at Lit and Lucid also covered such topics as millennial’s in the cannabis industry. To listen to the Colorado cannabis industry Lit and Lucid episode featuring Kent Gruetzmacher, please click here.